DMW boss, Davido who is currently in Rivers State to shoot a music video with Duncan Mighty met with the state governor, Nyesom Wike. 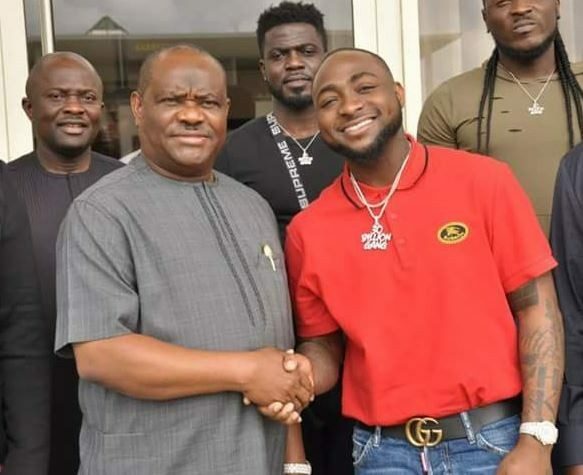 Davido during a visit to Governor Wike at the Government House Port Harcourt, said he has identified young musicians who will be promoted in the state. He also stated that he will be organising a major music concert in Port Harcourt in December where local and international music stars will participate.